Uber 388 is a modern freehold 3 blocks of 5 storey apartment consists of 95 units with basement car parks, swimming pool and communal facilities that you will surely love like children’s pool, jacuzzi, sunken pavilion, sun lounge deck, water lounge deck, clubhouse, gymnasium, function room children’s playground, tree house, earth lounge, sculptured garden, serenity deck, reflective pool, bamboo pavilion and barbeque area. Innovative style and design of this exclusive property will catches every ones attention as they passes by. The combination of luxury, prestige, simplicity and class in one is a haven like no other. One’s home is a major component of living a well-composed life. It is said that home is where the heart is and the most comfortable abode is one where a person lives in perfect sync with his or her surroundings. Through the stylish glass panels in every unit you will be awaken in a glorious and warming greet of sunshine every morning with a natural touch of fresh air that will surely make your day a good start. And rest assure for a cozy and glistering light of stars at night and feel the cold wind to make you relax after a full day at work. 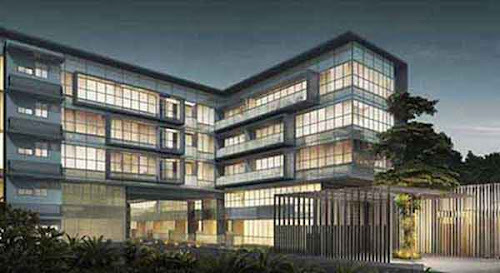 Located in the middle of Singapore 3 Business Hubs, Paya Lebar Commercial Hub, Changi Business Hub and Marina Bay Financial District guarantees good rental clients and high yield. Lowest quantum with excellent high potential for resale and rental. The East Coast Park is accessible by footpath and a Bayshore underpass to East Coast Park is just behind the development the children need not to cross any road for spending a wonderful time with their friends. Temasek Primary, Temasek Secondary and Temasek Junior College are just nearby along with other prestigious schools like Chai Chee Secondary School, CHIJ Katong Convent, Ngee Ann Primary School, Victoria Junior College and St Patrick Secondary School, for undoubtedly good education for your children in a convenient way because these schools are just minutes away from your home. Uber 388 is well connected to any kind of public transportation like taxis, buses and the Expressways. Hassle free in all the areas you needed to go and be with. Every second of your time with your loved ones are truly a pleasure and a treasure to keep. Satisfaction is what Uber 388 guaranteed. With a boundary defined sophisticated modernity and chic facilities, a very good place to start a family for its ambiance that will cool and refresh your mind and spirit. Have a look at http://www.uber-388.com/ for more details or connect to the marketing team at 6100 0877 for inquiries. Today, there have been 11 visitors (160 hits) on this page!